I’m often asked by prospective or current students what my criteria is for promotion from one rank to the next. Many schools simply base it on a time scale, where once you’ve been a rank for a certain length of time, you automatically test for the next level. This of course doesn’t take into consideration the differences between a student who practices at home and a student who doesn’t. Obviously, the student who practices more at home or attends classes more often will progress faster than the student who doesn’t. This is a common strategy among schools that have little or no qualifications for black belt as I described in my October 25th entry on this site. 1) Does the student have the required material? This can easily be answered by the student by simply looking at your USSD Student Manual. Once the student has learned the appropriate material, and can consistently do it without assistance, this question is answered satisfactorily. 2) Is the student good enough at their material? It’s one thing to know the material, but a student who is testing for a more advanced rank must be more proficient at their material than a lower rank student, regardless of what level the material was taught at. A brown belt must do yellow belt material at a brown belt level, not a REALLY GOOD yellow belt. It’s of course natural for different students to be better at certain skills. Therefore, it’s impossible to say it will take a specific length of time at a certain rank. If a student naturally has good power, they will likely go through our ranks of blue belt faster, while a student with good speed and accuracy will likely go through our ranks of green belt faster. It generally all evens out by the time students test for the advanced ranks of brown and black belt. It’s also acceptable that a student may make up for a lack of power with exceptional speed, or make up for speed with more power (just using those two skills as an example, there are dozens of others). You can see why this question can be very complicated to answer, especially since we look at different things for every rank. 3) How is the student’s attitude? This question gets increasingly important as the student gets closer to the advanced ranks. I talk to my students about “black belt attitude.” It’s certainly not realistic for me to expect a white belt to have the same skill as a black belt, but it’s realistic to expect that white belt to approach life with the same tenacity and attitude that a black belt does. 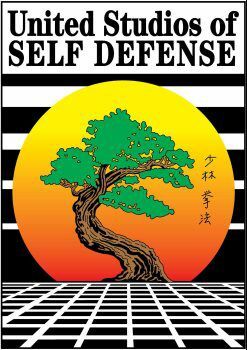 When I promote someone to a level, I don’t want them to show our five principles of effort, etiquette, sincerity, self-control and character only within the four walls of the dojo, but in every aspect of their life. Particularly for younger brown and black belt prospects, I talk to their parents about their performance in school, at home, and other extra-curricular activities to make sure they’re showing the same mental attitude in all aspects of their life. If the answer is positive to all three questions, we have a testing process either here at the dojo, or at one of our Northern California locations for brown and black belt candidates. During this test, they are tested on their knowledge and skill in their material. After the successful completion of these tests, the student is awarded their diploma and belt. When you are promoted to your next level at USSD, you can be assured that you earned that rank, regardless of its color. Whether you tested for your yellow belt or your black belt, you can take pride in knowing that you deserved it!